Yes I found one at last. I have take the start of one ride added a new middle section and lunch stop (pub) and then used a return from another ride. We will venture forth on the 5th December. Those that are coming I will see you on the 28th 12:30 for 13:00 at The Alma School Road Copford. This entry was posted in Rides on November 23, 2018 by cfprideleader. Last Wednesday we had an unfortunate incident and as a result have lost a rider. I am truly sorry this happened under my stewardship, I know what it is like at the back I was once there and Mike White was very patient with me. From this week on I will take the back of the group with the slower and or less experienced riders and in practise for our January changes the experienced riders can share the lead. It looks as if the weather is about to turn and Wednesday will be cold, I propose we go to Wivenhoe so wrap up warm. Friday, I have yet to discuss with my leader, she has left me on my own while she raves it up at a Soul Weekend, I expect we will venture to The Hare and Hounds, but phone me to check. This entry was posted in Rides on November 18, 2018 by cfprideleader. Wednesday we returned to the Bricklayers Arms our old headquarters, under new management and much improved, we will add back onto our ride list. Fridays ride to Poplar Nurseries was reasonably supported, there will be no Friday ride this week due to other commitments. As winter is around the corner I will not publish the Wednesday ride in advance, we will make the decision on the day as appropriate for the weather conditions. I now have the full list of attendees for the Christmas lunch and will email the 3 drivers who have volunteered their services as to who they will collect. I think is about time we had a song to sing as we venture up hill and down dale through North Essex and South Suffolk on Wednesdays, so folks. This entry was posted in Rides on November 11, 2018 by cfprideleader. Sorry for the delay of this posting. Fridays ride out to the Shepherd was within reach of the Wednesday riders if we took the shortest route, however you need a black American Express Card to eat there (no credit limit). Wednesday we will travel up Bakers Lane and make our way to the Bricklayers. Friday, contact me via email on Thursday, current favourite is Poplar Nurseries. I think by now most of you are aware of the changes that will take place on January 1st 2019, just in case the following is a resume. “The proposals in respect of the groups direction and future, based upon the reply from members will take effect from January 1st 2019. Cease charging for rides after 3 weeks. Cease membership of Cycling U.K. at renewal. Cease renewal of Ride Leaders insurance. 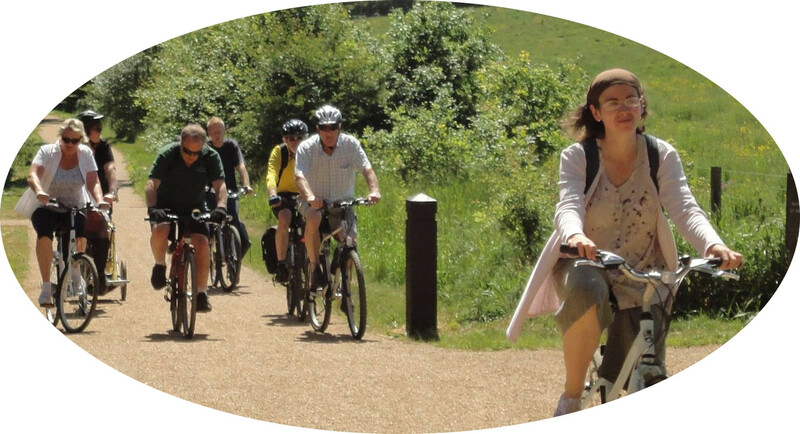 Retain the name “Cycling for Pleasure (Colchester)”. Retain the Bank Account and signatories. Meet Wednesday and Fridays as a group of like minded cyclists. Maintain some printed matter to hand out to interested parties. Charge an annual fee of £12.00 to cover promotional material payable in full on 1st January each year or in two £6.00 instalments in January and July. New members will still enjoy 3 weeks free. Maintain a register of members emergency phone contacts. Each rider will take responsibilty for their own safety. It would be preferred that each rider joins Cycling U.K. this will give insurance together with discounts at some cycle related stores. Adult current rate £46.50. Senior £29.50. Finally, I have 16 booked for the Christmas Lunch on the 28th November, the cut of date too book is the 14th November. This entry was posted in Rides on November 6, 2018 by cfprideleader.